Safety inspections are critical to keeping your employees safe at work and ensuring compliance with federal and state regulations. But if your employees don’t know what they’re looking for, just going through the motions of a safety inspection isn’t going to keep anyone safe—or keep OSHA off your back. When OSHA comes knocking, safety inspection software can help. If your employees or facilities are found in violation of safety standards, you can be in for a hefty fine. And if it’s a repeat violation, you’re going to be hit even harder. In some serious cases, you might even find yourself facing legal action. Most of the time, these infractions are the result of one simple thing: your employees aren’t aware of the current standards, and don’t even know when they’re doing something wrong. No one wants to be caught unaware when it comes to safety rules, but getting your team the training they need is much easier said than done. The problem is that these standards change all the time and are different everywhere you go. 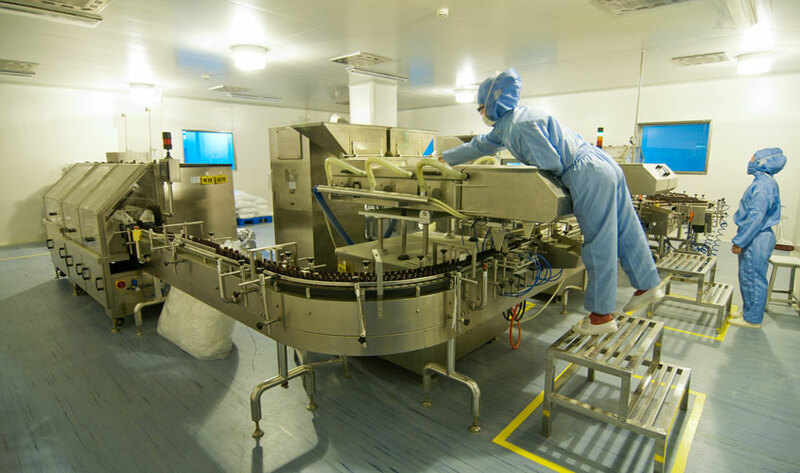 This Manufacturing Risk Report from Risk and Insurance highlights one of the main challenges associated with safety standards: if your business has locations around the country, not only do you have to follow Occupational Safety and Health Administration (OSHA) regulations, but you need to be aware of additional mandates on a state-to-state basis. And as this Safety and Health Magazine article points out, even if you’re up to date right now, in six months those rules could already be outdated. Training your employees when they start the job is a big enough undertaking without updating them—and your training programs—to comply with new standards. If your employees are struggling to understand which standards apply to them, safety inspection software can help correct unsafe behaviors and enforce the correct procedures. That’s because continuous training doesn’t take monthly classes or seminars: all it takes are forms that accurately reflect the criteria your inspectors should be looking for. Mobile forms make surprisingly good employee training tools. In addition to helping inspectors perform their regular duties faster and more efficiently, mobile forms can contain extra information, such as the criteria they should be looking for in a certain area, to help them perform tasks in accordance with changing regulations. And when those forms are capable of changing depending on the state your inspectors are in, you can take the stress out of meeting all those differing standards. Because all that information is collected on a mobile device synced to your existing servers, form software can also help gather the evidence you need to prove your compliance with OSHA regulations when audit time rolls around. Don’t let your team get caught breaking rules they didn’t even know existed. With the right safety inspection software, you can stay on top of health and safety standards and give your employees the tools they need to stay safe and avoid fines—or worse. Want to learn more about how inspection software can make your organization safer than ever? 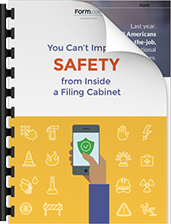 “You Can't Improve Safety from Inside a Filing Cabinet”.